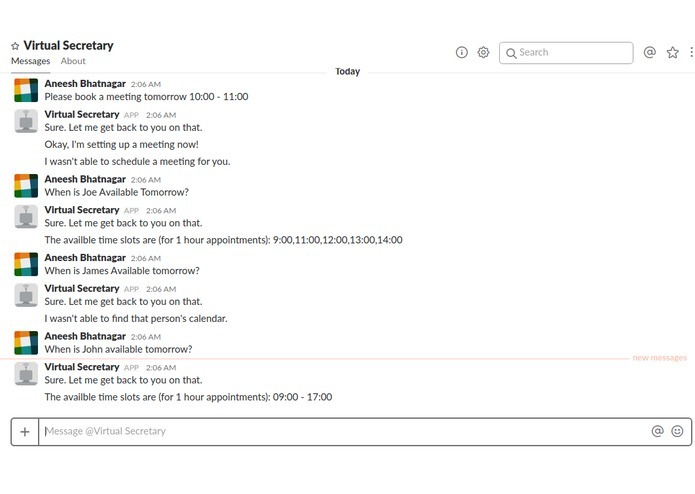 A Slack bot that helps you and your organization to easily set up meetings by checking the public calendar. Imagine you have your own startup and we give you a solution that saves the money spent on the salary of a secretary who schedules meeting!. Isn't that cool? 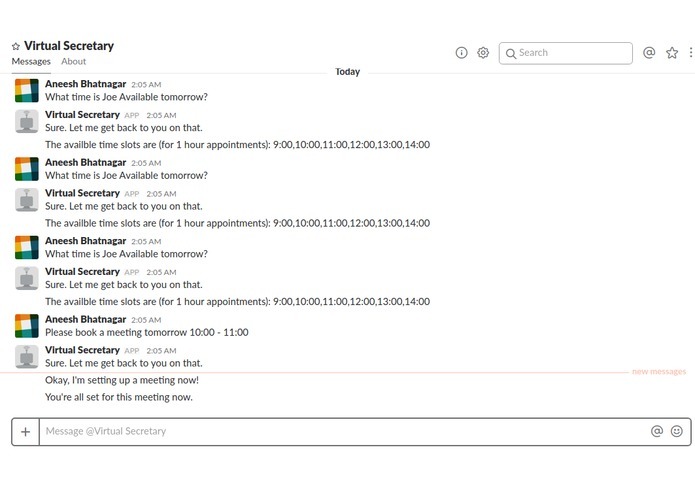 These days slack is a favorite tool for every team in a working environment for collaborating and working together. 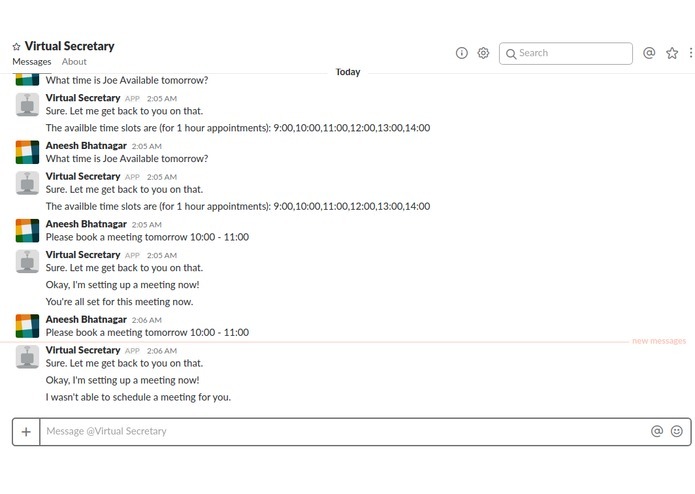 AI-secretary gives you a Slack bot which helps you schedule meetings amongst all team members. 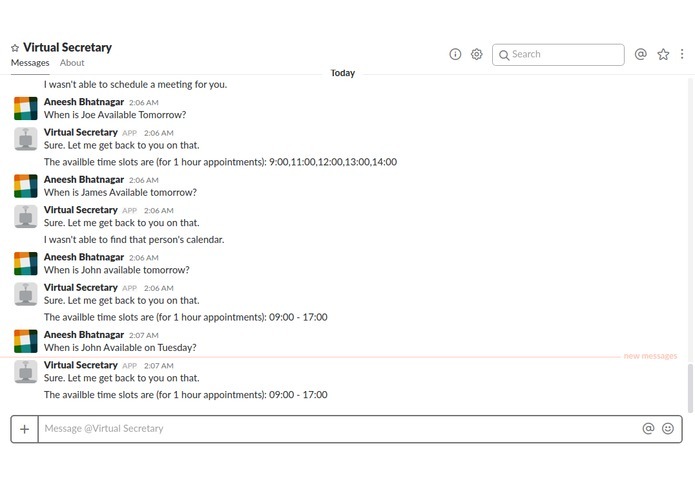 You can request the bot to schedule a meeting with another team member. 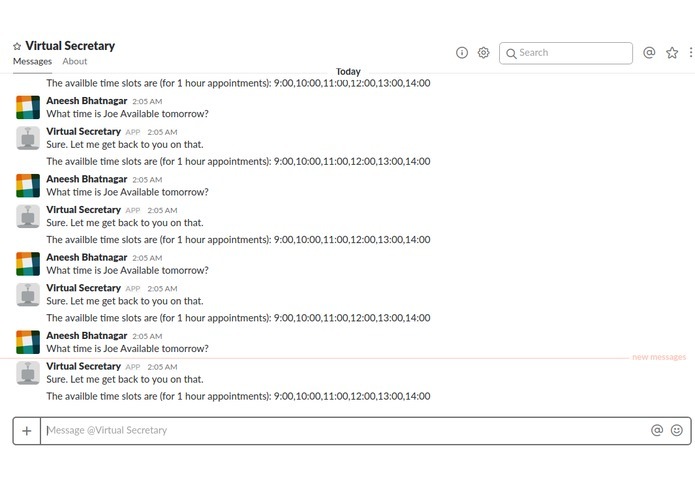 The bot then checks for available times from the other member's calendar and returns available times. You can then set up a meeting from the available times if they are still free. Once a meeting is set up, the other member's calendar gets updates. 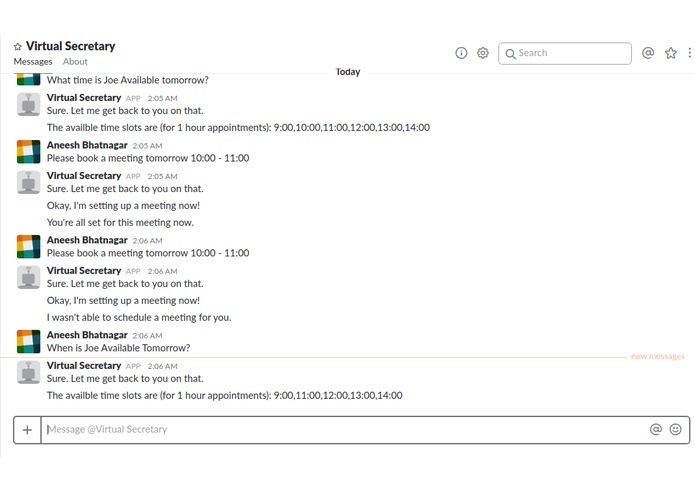 TimeAxis lets you schedule meetings without much hassle and efforts. And finally, we used the Google Calendar API again to create a new event in the user's calendar. Working on something in a new setting ## What's next for Time Axis Able to handle other calendars.